The first Saturday of June is National Trails Day in the U.S. This was established by the American Hiking Society (AHS). On this day, thousands of thousands of people volunteer to maintain and project hiking trails. 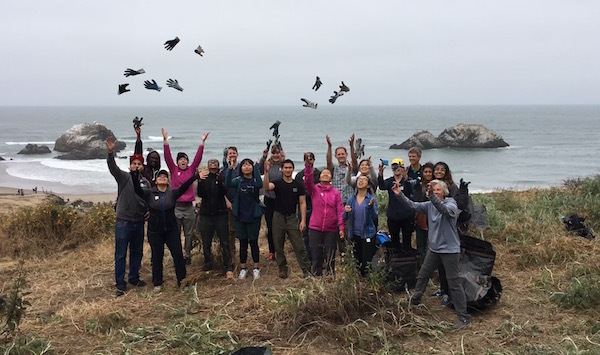 Yanbin and I joined a local event in Lands End of San Francisco, organized by the Golden Gate National Parks Conservancy. Our goal was to remove weeds that were covering the trail, or were invasive and came from other areas. 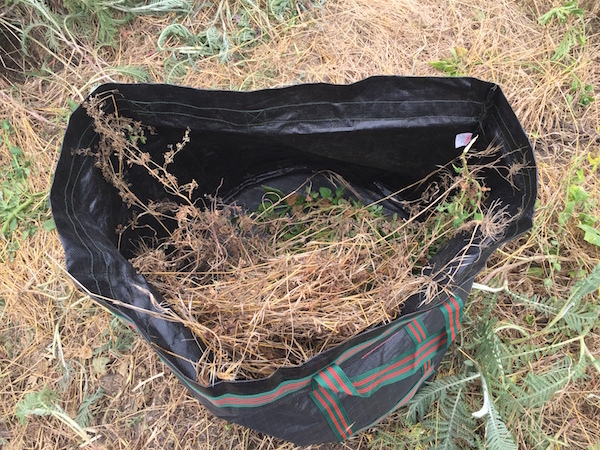 I felt a bit sad when I pulled some of the green and lively weeds into a giant waste bag, but oh well, they didn’t belong there. 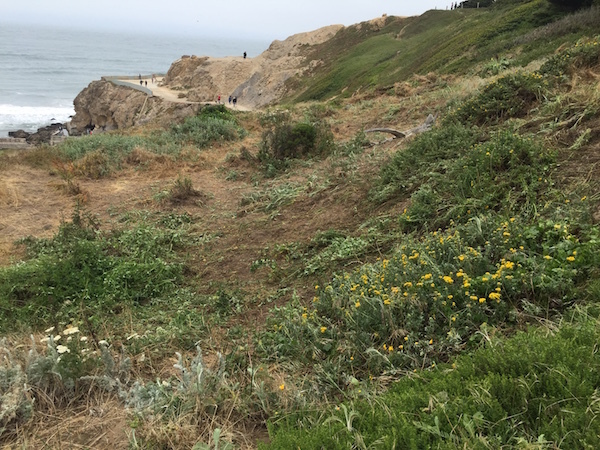 Some of the invasive weeds were from Hawaii and New Zealand — wow, how did they get to San Francisco — and we removed them to protect native plants along the trails.